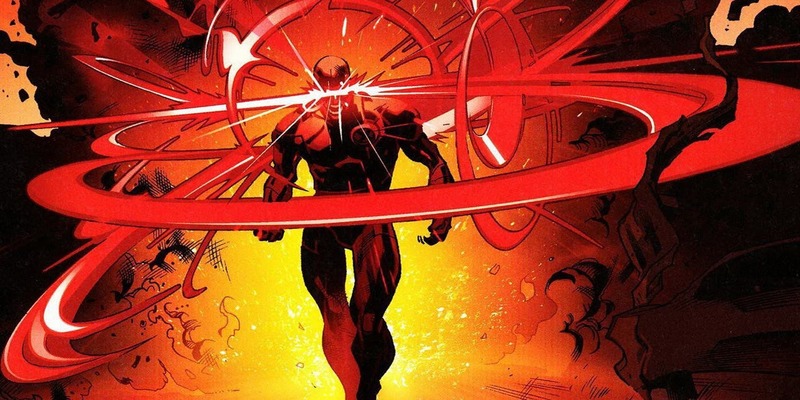 AvX 2: Cyclops throws down with an old adversary in Uncanny X-Men #11 – AiPT! A rematch we’ve been asking for since 2012 rears its head. Way back in 2012 the X-Men and Avengers weren’t getting along so much. In a now iconic scene Cyclops and Captain America, two of the smartest team leader superheroes to ever live, fought in the start of a major conflict. It appears they’re in for round two in Uncanny X-Men #11. In a quick scene, Cyclops attends a rally against mutants. Captain America is there to keep the peace, it seems. It does not go well for Cyclops as racists punch and attack him. Cap actually helps Scott, but it’s a war of words from here. In a lot of ways, Matthew Rosenberg’s dialogue echoes the Avengers vs. X-Men story. In a bold turn, Captain America accuses Cyclops of making a suicide attempt to make a point. Note how Cyclops brings up fascism again. This, of course, pisses Cyclops off. Could we have another “Avengers vs. X-Men” war on our hands? It appears Cyclops takes hold of the moment and uses it as a great strategic mastermind. He’s talking to the American people to find any mutants that are left. Instead of going to war he uses the moment to potentially save mutant kind. This is of course only part of the story. I recommend reading the whole issue (I barely scratched the surface! ).